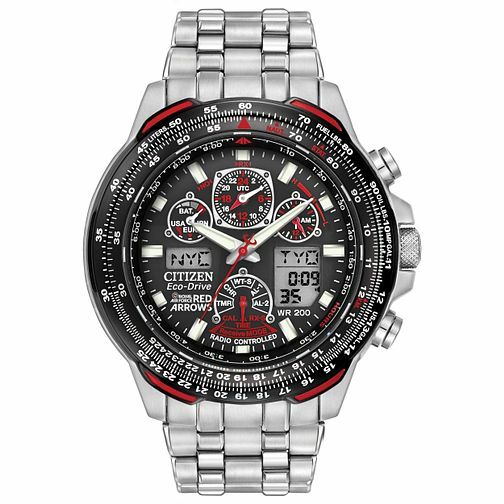 Citizen Eco-Drive Red Arrows men's stainless steel bracelet strap chronograph featuring black and red sports dial. The ultimate gift for a technology and sports fans who live life in the fast lane. Citizen Eco-Drive Red Arrows men's bracelet watch is rated 5.0 out of 5 by 3.